Are you getting a little suspicious when buying the car equipment? Many people have stated that they don’t trust the market’s product because they tend to give an overpriced item which usually varies in its performance. That’s why it is pretty important to know your item before buying it, especially car’s equipment like the tire. 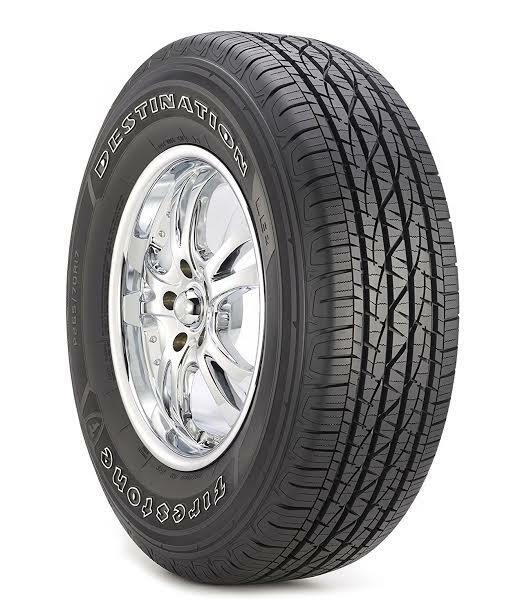 There are many well-known tire brands out there, but you must be able to guess this one in no time, the Firestone Destination LE 2 Tire. Yes, this tire is an all-season tire which is made with high-quality material and arguably one of the best-rated models in the entire lineup. The design is intended for the pickups, crossovers, vans, and SUV. So if you are interested with LE 2, let’s see the explanation below. LE 2 is known for its pattern whereas it continuous zigzag sipes with sweeping slots. It has continuous closed shoulder blocks, and there are a lot of massive number sizes available from 15-20 inches. There is also a warranty in this tire whereas it is 60,000-mile tread guarantee. With this guarantee, you probably won’t need to mind the budget for your tire in a long time. The performance is quite fascinating whereas LE 2 is quite compatible in every season. It can be used in dry and wet weather as its dry and wet traction is pretty excellent. Then the stability and handling are very suitable for your vehicle. The design of this tire is made with such pattern that enables you to use this tire without needing to worry that your car will lose stability or ability to brake. The ability to brake is especially critical because your safety is always number one for every tire producer. Producing a dangerous tire means suicide for their company. After that, you can feel the ease and comfort when riding because of this tire; it is also causing very little road noise. This luxury ability will make this tire become favorite between the high-class rider. Lastly, it is also claiming that this tire can last for a very long time as long as you don’t have crash or accident. The only downside of this tire is its traction on ice and hardpack is pretty poor. Destination LE 2 is quite a fantastic tire with so much safety and comfort. Its price is quite high, but if you are considering about its durability and power, you probably won’t need to change your tire again for a long time. That’s why it may be regarded as the money saver, and you can’t deny the fact that LE 2 is a top quality tire for every terrain. Check the best price for Destination LE2 here!